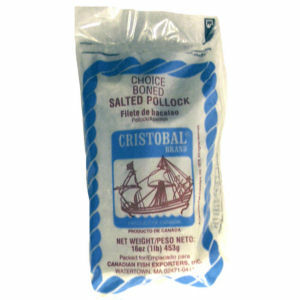 Choice boned salted pollock. Filete de bacalao . Product of Canada. Bacalao is an internationally acclaimed dish enjoyed by all people around the world. It is made in many different ways, all of them resulting in a delicious plate.